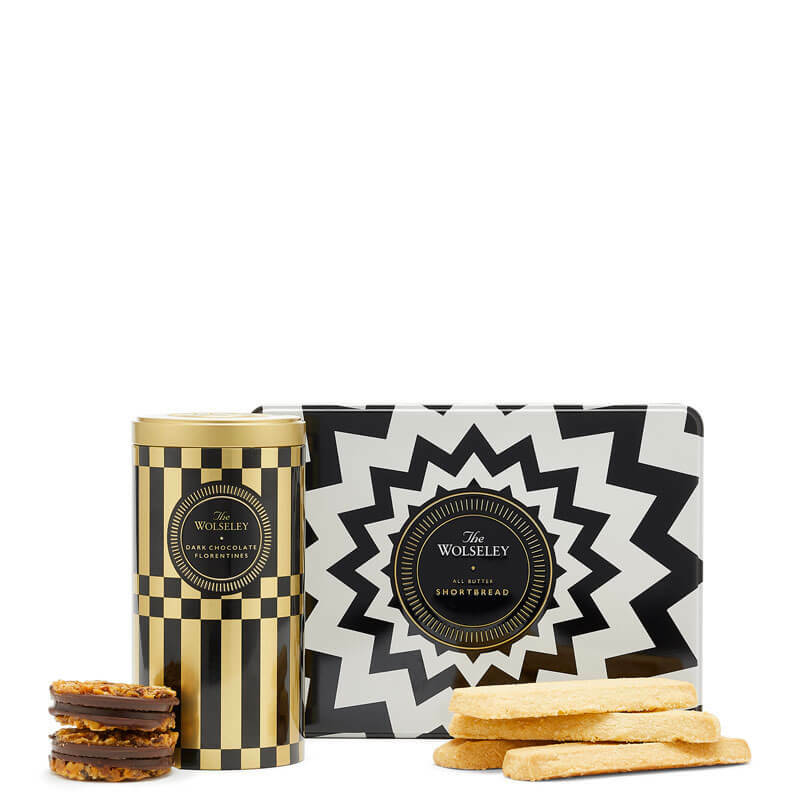 Our Dark Chocolate Florentines and All Butter Shortbread are handmade exclusively for The Wolseley. The delightful combination of flaked almonds, pistachios, hazelnuts, citrus peel, honey and glacé cherries is topped here with a smooth dark chocolate – the perfect gift for an after-dinner treat. And our classic shortbread, made with only the highest-quality ingredients giving each biscuit its authentic crumbly texture and freshly baked taste, are a perfect mid-afternoon treat best paired with a cup of freshly made tea. Potassium Sorbate (E202), Colour Erythrosine (E127)). INGREDIENTS: Wheat Flour, Salted Butter (Milk) (37%), Sugar, Maize starch, Salt.